Hope that this news doesn’t get into your company’s IT administrators as I’m pretty sure their first reaction would be to block off your access to social networking sites, if they haven’t done so yet. A new report by IT security and data protection firm Sophos, showed that there is an alarming rise in cybercriminals attacking corporate staff coming from Facebook, Twitter and other social networks. 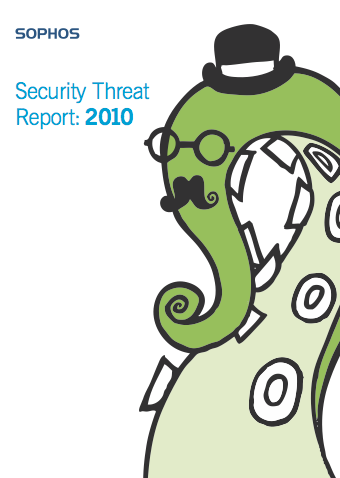 The Social Security report is part of Sophos’s 2010 Security Threat Report which surveyed more than 500 organizations and explored current and emerging computer security trends. The report found out that 57% of users report they have been spammed via social networking sites. This is an increase of 70% from last year’s data. As for malware, 36% of users reported that they have received malware via social networking sites. This is 69.78% increase from last year’s data. The report also revealed 60% of the respondents naming Facebook as the biggest security risk for the company followed by MySpace, Twitter and LinkedIn. While this is understandable considering that Facebook is the largest social networks in terms of membership, LinkedIn however could provide the most vital information about corporate individuals since it is more business oriented and information shared by its members can provide a corporate directory which cybercriminals will be more than be happy to exploit. Another interesting point to note here is that Sophos found out that 49% of the firms surveyed have allowed their staff free access to Facebook. So while companies are loosening their attitude to staff activity on social networks, there goes your friendly malware, spam, phisers and identity theft threatening to spoil the party.